Mrs Coontz, Head of Modern Languages and International Coordinator, works tirelessly to forge, strengthen and support the many international links from which the school benefits. If you are interested in International Education at Wellington, read more here and if you have any questions, please do not hesitate to contact the school. 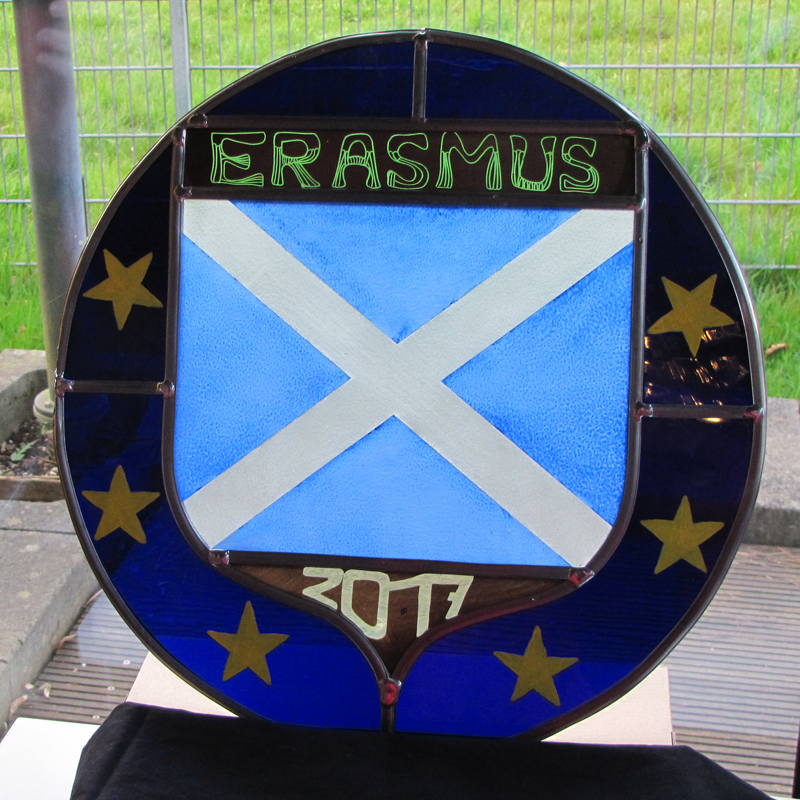 The article here below was written by Amy-Edith Barbour about her experiences in Germany earlier this term. 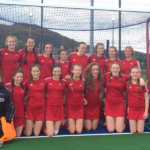 Her reflective piece gives a wonderful insight into the importance of Wellington’s international links and how they have a positive effect on our pupils. ‘On Monday, we arrived at school for 8am where the German pupils had prepared a presentation about their country. It fascinated us as we learned about German history, landmarks and stereotypes (such as beer!). We later enjoyed singing the classic Scottish song, Auld Lang Syne (sung as a four-part arrangement in three languages! ), in preparation for the concert on Thursday. 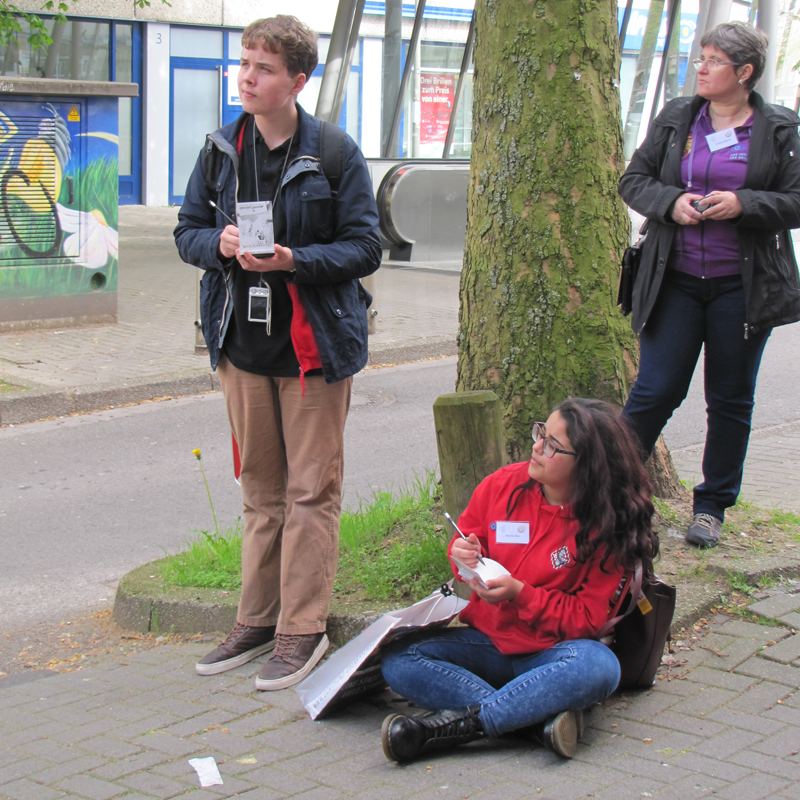 In the afternoon, we walked around Dortmund observing Art Nouveau buildings and sketching the patterns from different periods of the Art Nouveau movement. We all took this opportunity to make new friends with other European pupils and ended our day with growing excitement for the week ahead – the workshops we had the chance to enjoy, the lovely people we were forging friendships with and the fun experiences we were having in a new country where we were made to feel so welcome. 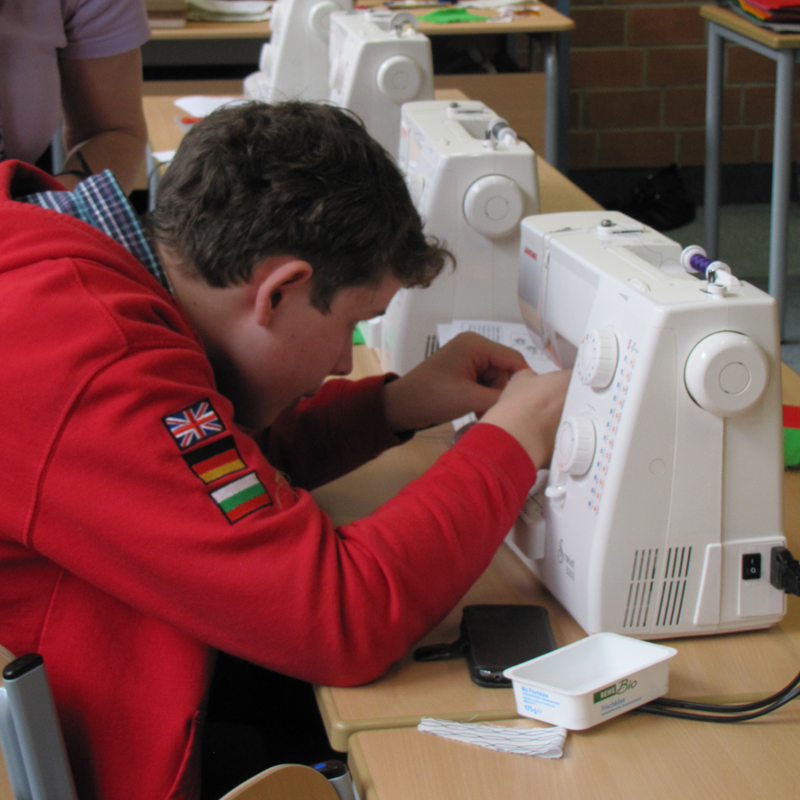 Tuesday was a very busy day owing to our workshops starting. Architecture was very interesting and good fun, although tiring due to all the sawing! Stained glass, marbling and the fashion show were also very interesting. We then met in the magnificent Forum to go on the bus in order to see the Zeche Zollern colliery. 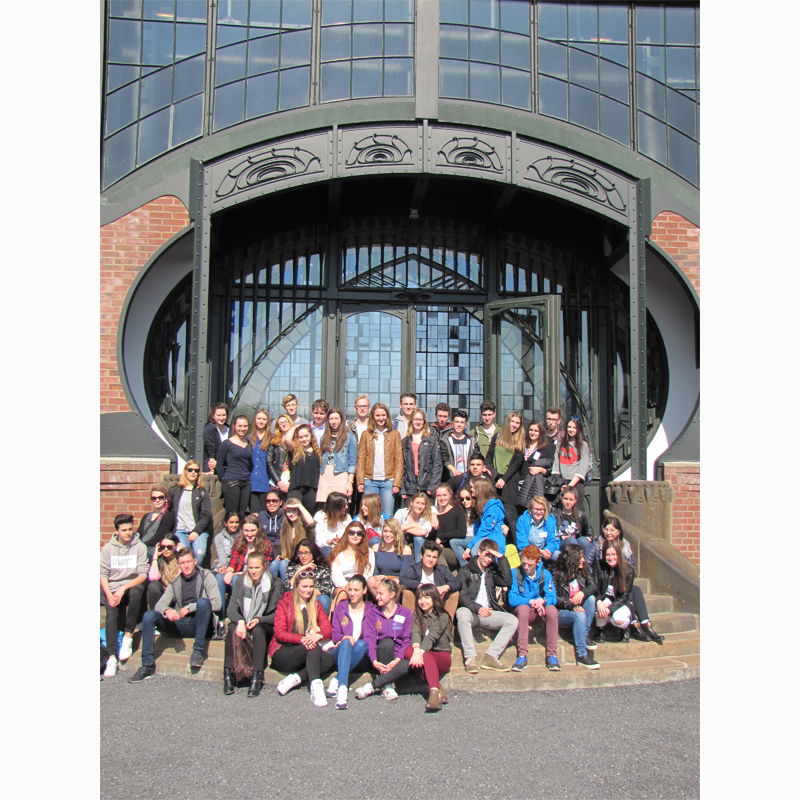 The trip was fascinating and we enjoyed our tour of the picturesque coalmine’s buildings which were in the style of medieval fortresses with an Art Nouveau gate. We were able to climb the very high towers, which was thrilling! After the tour we went out with our host families. I was taken to a beautiful park and had time to bond with interesting German and Slovenian students. Meanwhile, other families attended a football match, supporting Borussia Dortmund, Dortmund’s team. 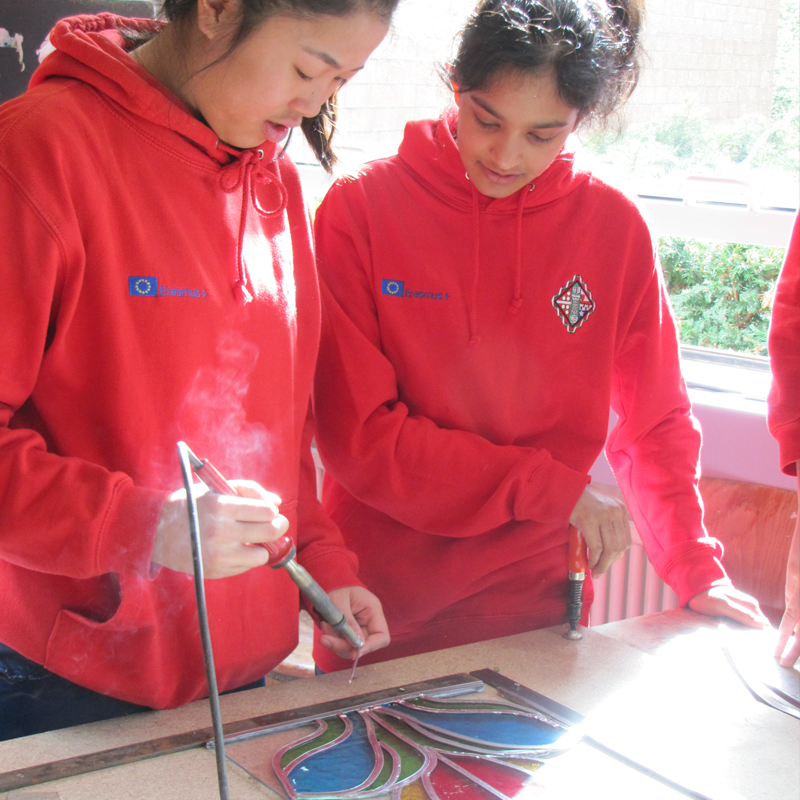 On Wednesday, we undertook workshops in architecture, fashion, light painting or stained glass painting. The morning workshops were funny and interesting as we rushed to finish our projects. We then attended a choir rehearsal before lunch, which many pupils enjoyed, especially the Scottish as we found the German words very difficult (and sometimes hilarious) to pronounce! In the afternoon, we went bowling which was so much fun! Laughing, chatting, and mostly failing with our bowling games helped us get closer to the other pupils and we quickly realised we would find it very difficult to say goodbye. 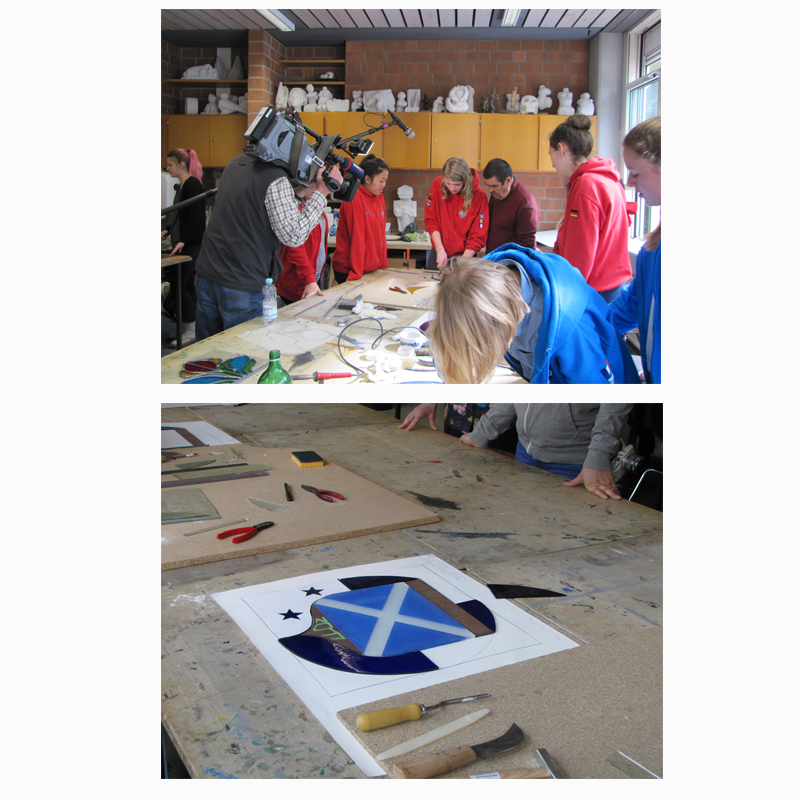 On Thursday, the German television channel WDR attended our workshops and took a few pupils into Dortmund to visit the U Tower. After another early morning, we met at school and began workshops like photo design, stained glass, light painting and etching. The pieces we created made us very proud! After we had eaten lunch, a large group of us walked to the U Tower, being recorded by the television channel. Many of us had never experienced anything like this and found it very nerve-wracking. On the U Tower we had a lot of fun, laughing with our German friends. Although we had a few problems reaching the top of the tower, the view was spectacular and we enjoyed the breath-taking sight. After going home to get ready, we met at the Immanuelkirche, a stunning Art Nouveau church, for a presentation of the art we had made and to listen to the talented choir and orchestra. After the church service, we went into a community hall and viewed the exhibition of our art. We were mainly proud of our creations, but a few of us were very embarrassed, including me! It was beginning to sink in that we only had one more day to spend with our new friends, whom we had grown so close to, so it was a night of mixed emotions – happiness and excitement as we were bonding with these friends but also sadness that we would only have one more day together. Friday was an interesting and emotional day. We visited an Art Nouveau-style house, the Hohenhof in Hagen, in the morning, and enjoyed the stunning architecture. We also took many beautiful photos (a few hilarious ones too! ).